This is definitely something a bit different from Aesop. I often associate them only with skincare that’s nourishing and filled mostly with luxurious but basic natural ingredients – some great, some I don’t like quite as much. The Lucent Facial Concentrate definitely falls into the former and is loaded with active ingredients. The serum, and that’s what it is, is a very lightweight with almost an oil-like consistancy (although not an oil) that sinks into the skin before your moistursier. It’s water based alongside Sodium Ascorbyl Phosphate, a stable and water-soluble form of vitamin C acting as an antioxidant and skin conditioner. Niacinamide, also in a large forumlated ratio is a rich form of Vitamin B3, aids in brightening, soothes and restores skin’s natural balances. Sodium Dehydroacetate acts as an antibacterial ingredient that not only keeps the product fresh, but will target blemishes and spots on the skin. On the more natural side, the Lucent Facial Concentrate has Rose Petal extract from Demascan rose to calm and sooth skin – making this a perfect accompaniment to any chemical exfoliating treatments. There’s also Australian Sandalwood, an effective skin hydrator and soother. 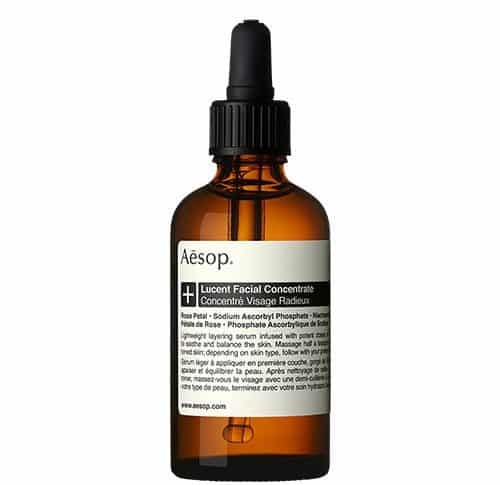 What I’ve often found with some Aesop products is that on skin that’s oil-prone but dehydrated, they restore hydration but can sometimes leave skin a little sticky and over-enriched. The Lucent Facial Concentrate doesn’t do that at all, and adds hydration and treatment without imposing anything at all into your skincare regime, leaving your moisturiser of choice in control of how your skin feels afterwards. This article first appeared on MANFACE written by Thom Watson. It was published on Monday 12th September 2016 and was last updated on Monday 3rd April 2017 at 12:42pm. 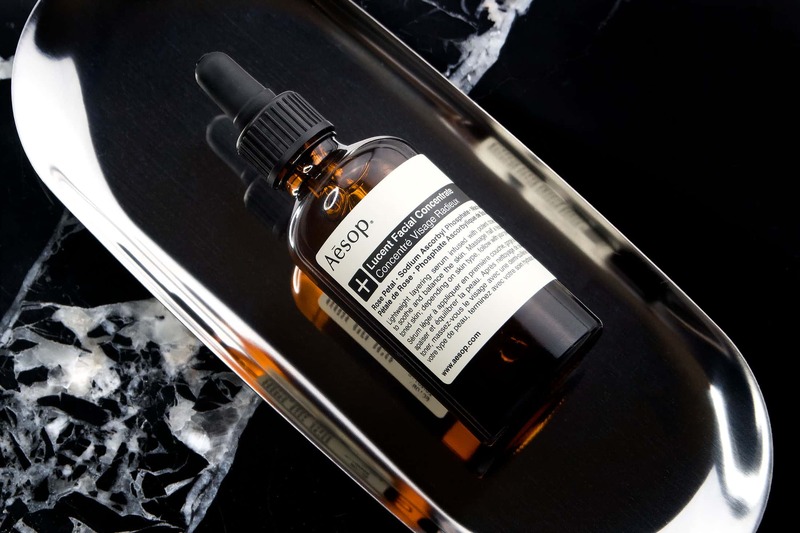 It's categorised under Acne, spots & blemishes, Aesop, Anti-Ageing, Combination Skin, Dry / Dehydrated Skin, Oily Skin, Serums & Treatments where you'll find more related content.